To me, fall is the time for comfort food in all its glory. There is nothing quite like sitting down to a hearty meal when the temperatures dip and thoughts of winter are on the mind. 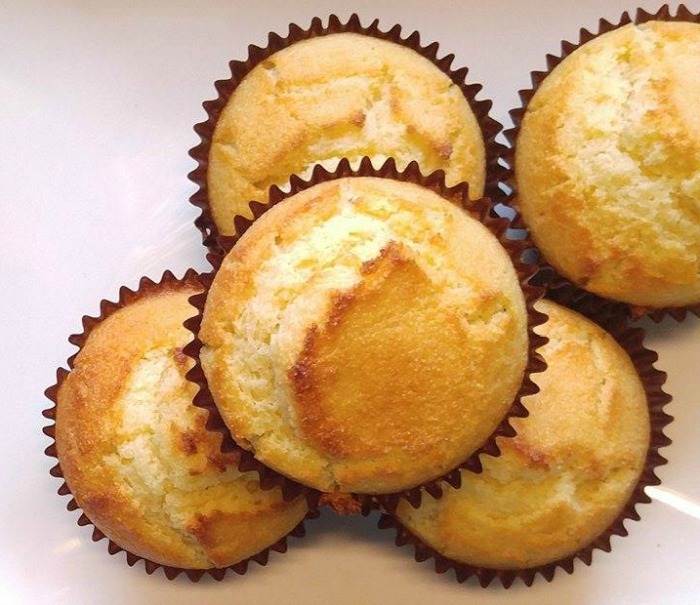 And what personifies comfort food better than fluffy buttermilk corn bread muffins? These muffins make a great side dish and I love to add them to one of my hearty breakfast recipes, too. There is nothing quite like the taste of corn bread with a fresh bowl of soup. Looking for a recipe to add to the corn bread? Try my chicken pot pie soup. It is very nostalgic tasting. And for a healthy muffin recipe, try these cinnamon apple muffins. They are only 102 calories each. 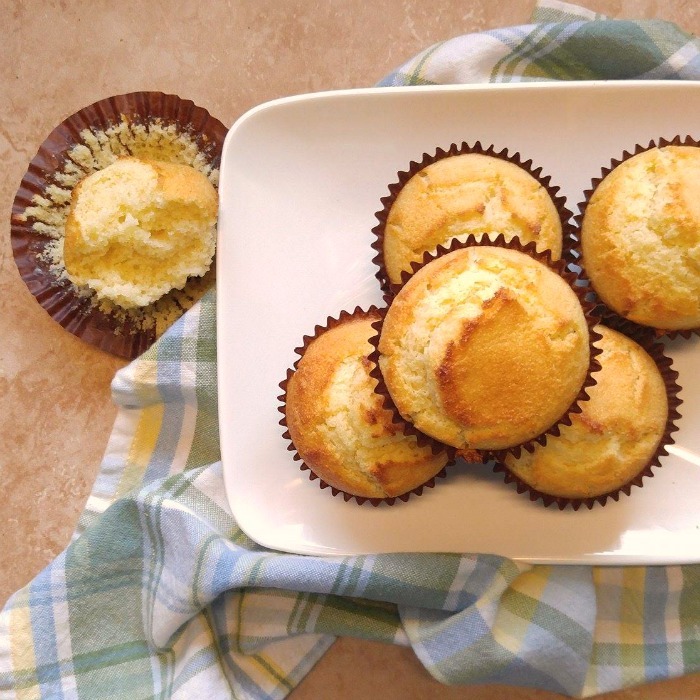 Try these buttermilk corn bread muffins to serve with your favorite home cooking recipe. My husband and I love to go antique hunting on the weekends, and I am always on the look out at the various consignment shops for items that I can use in my blog post recipes. 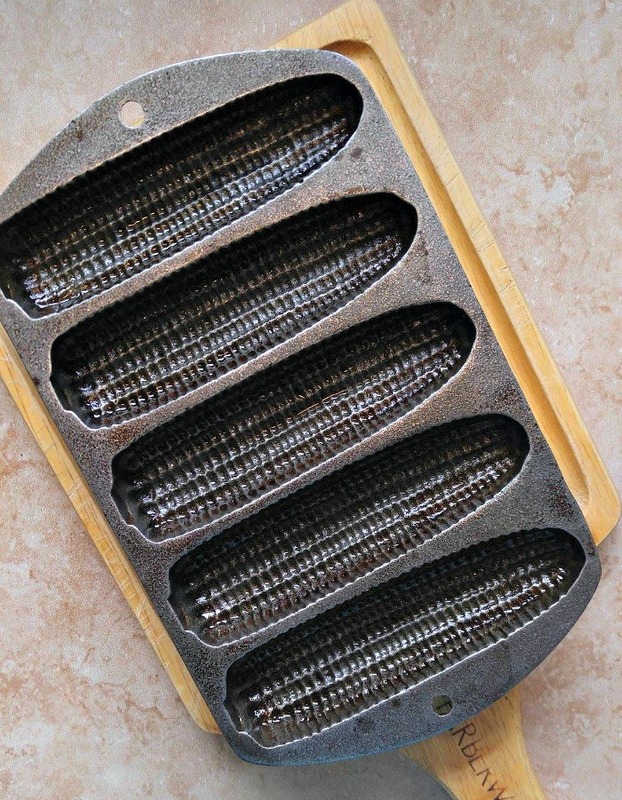 Imagine my delight to find this adorable cast iron baking pan with the shape of small ears of corn. Buttermilk corn bread muffins here we come! If you don’t frequent consignment shops, Amazon has this pan for sale, too! Start by melting your butter in the microwave. 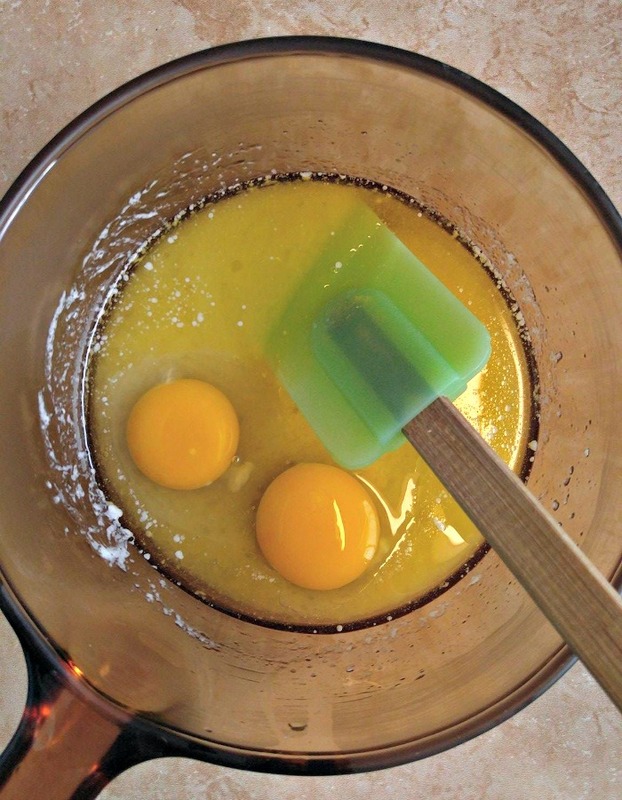 When it has melted, stir in the sugar and then add the eggs. Mix them until everything is well blended. Next, the buttermilk gets combined with the baking powder and baking soda and these are mixed into the egg/butter mixture. Whisk a bit to combine. It will be frothy! 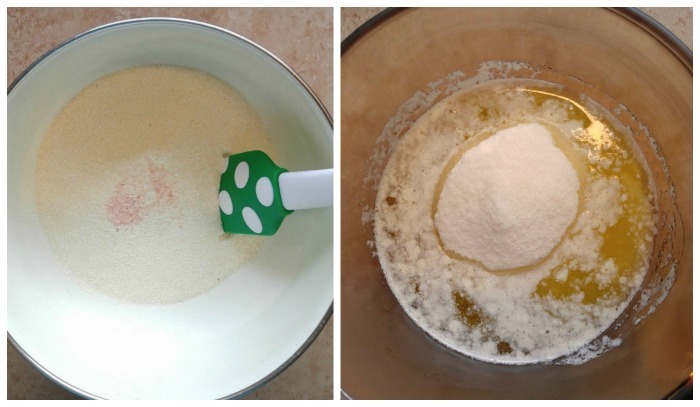 Combine the cornmeal, sea salt and flour together and add them to the wet ingredients. I only had one of my corn bread stick pans, so I also used some chocolate colored muffin cups for the remainder of the batter. I ended up with 6 corn bread sticks and 9 cornbread muffins. Into a preheated 425º degree oven they go for about 10 -12 minutes. The bottom of the corn bread sticks comes out fairly smooth and they pop right out of my cast iron pan with no sticking! 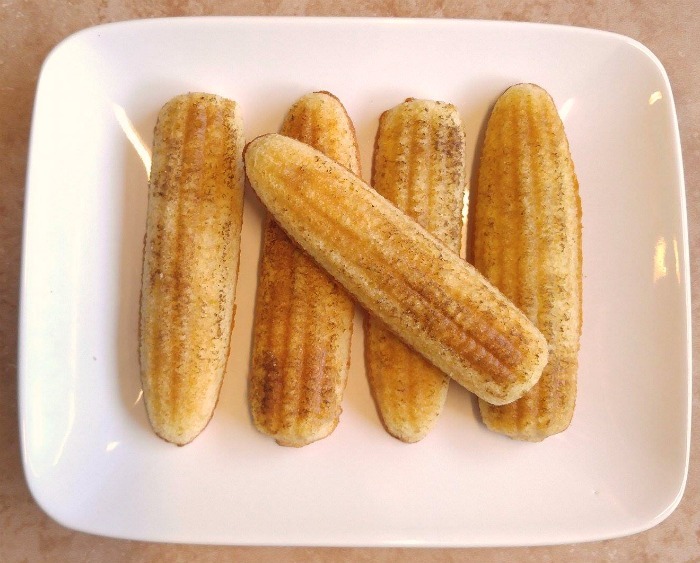 Look how cute these cornbread sticks are! The muffins are light and fluffy and slightly sweet. They are deliciously moist from the addition of the buttermilk. I love the way the muffins rise. They make a nice plump shape! 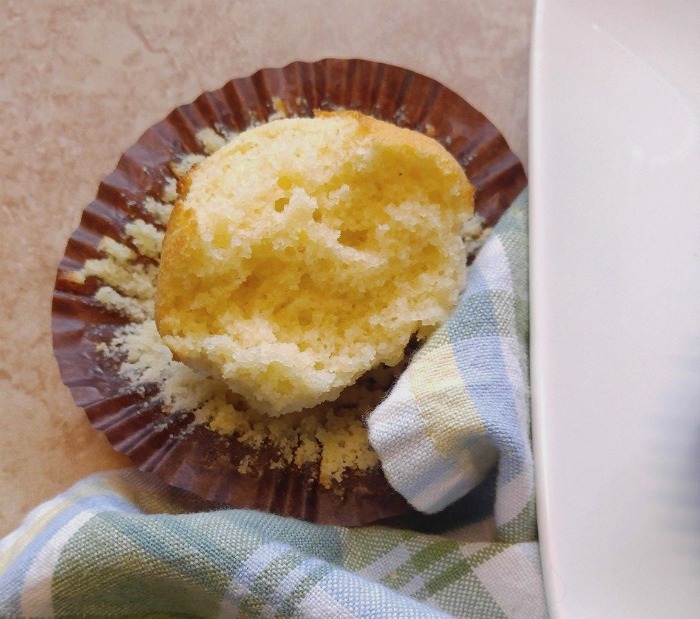 One bite of these delicious buttermilk corn bread muffins and the whole platter will be gone, I promise! Better make a double batch! I served these delicious corn bread muffins with my recipe for slow cooker Boston baked beans the other night. They are the perfect way to sop up moisture in this sort of dish! I love cooking with cast iron cookware for many reasons, especially for the truly non stick finish. But cast iron cookware needs to be seasoned correctly to give you this feature. See how to do it here. Preheat oven to 425 degrees F (175 degrees C). 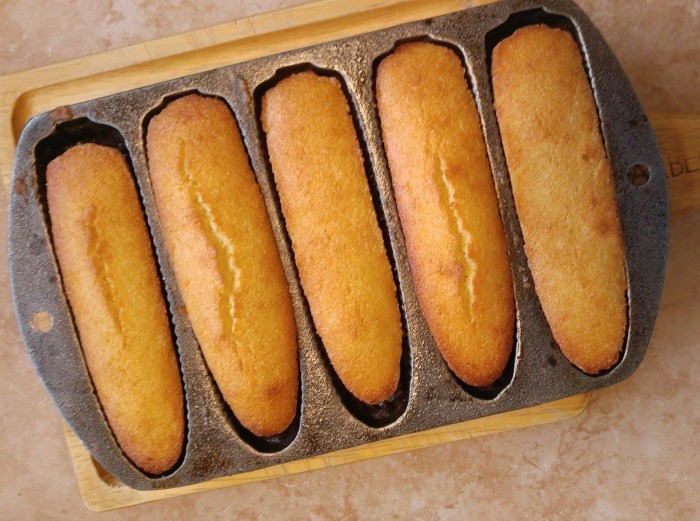 Place 2 cornbread cast iron baking pans in the preheated oven for 15 minutes. Melt the butter in the microwave. Remove and stir in the sugar. 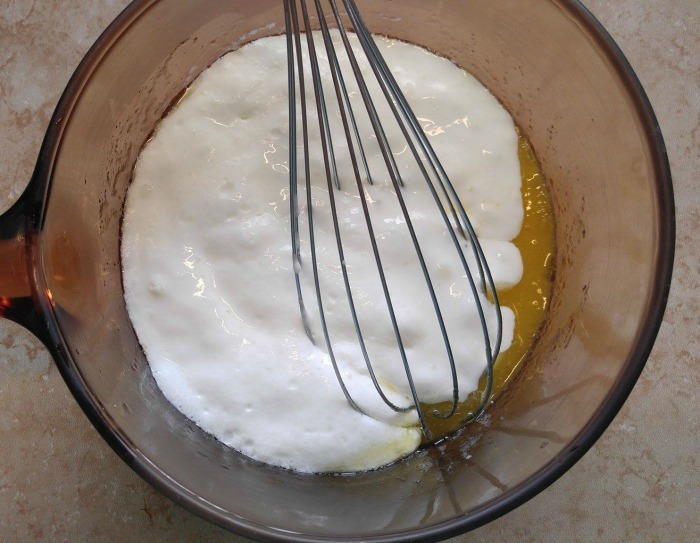 Quickly add eggs and beat until well blended. 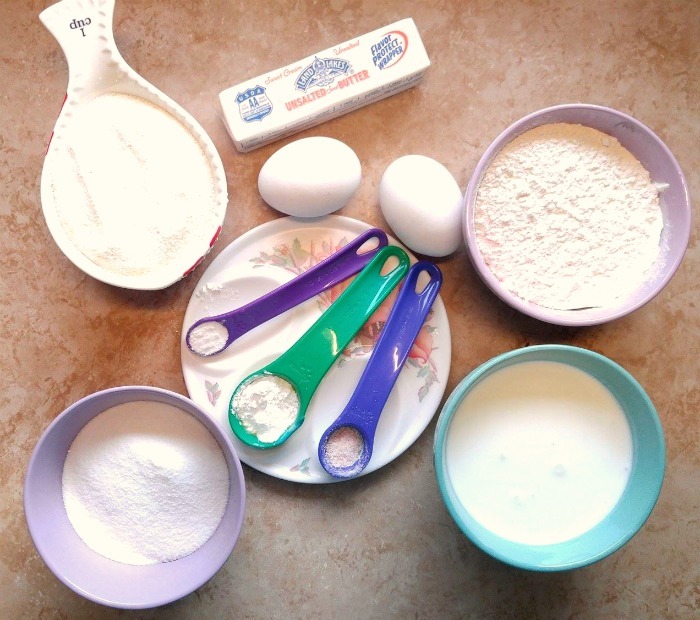 Combine the buttermilk with baking soda and baking powder and stir into the mixture. Add the cornmeal, flour, and sea salt and mix until well blended and few lumps remain. Remove the hot pans from the oven and brush with the remaining 2 tablespoons melted butter. Divide the batter among the molds, then place back into the oven and bake 10 to 12 minutes, until lightly golden and springy to the touch. 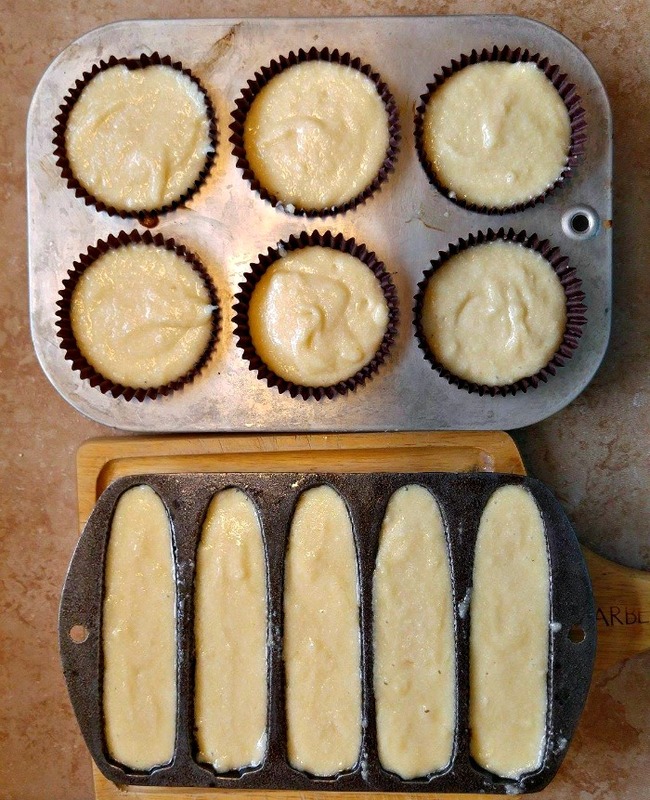 If you don't have these muffin pans, you can use an 8 inch pan, but preheat your oven to 375º and bake in the preheated oven for 30 to 40 minutes, or until a toothpick inserted in the center comes out clean.